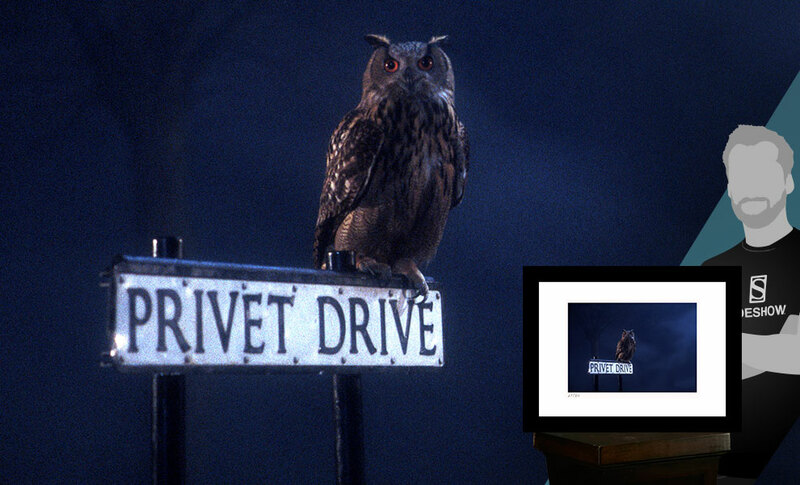 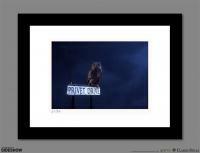 In the opening shot of Harry Potter and the Sorcerer's Stone an owl perches on a sign for Privet Drive. 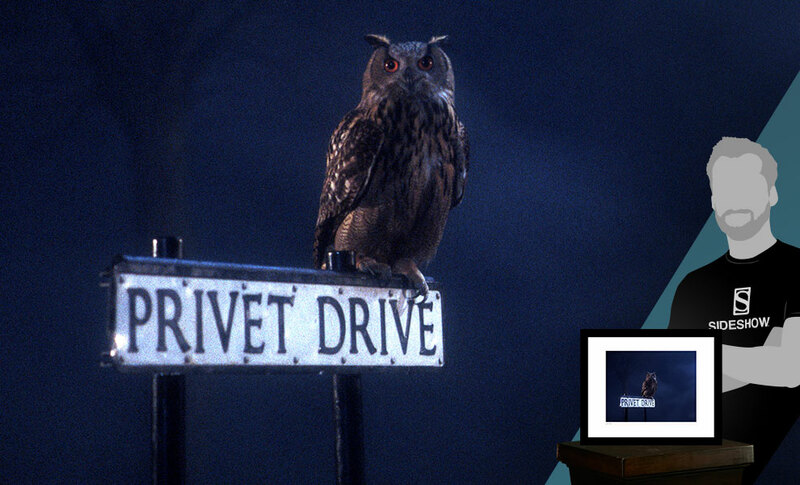 Professor Dumbledore promptly extinguishes the street lights as he waits for Hagrid to deliver baby Harry. 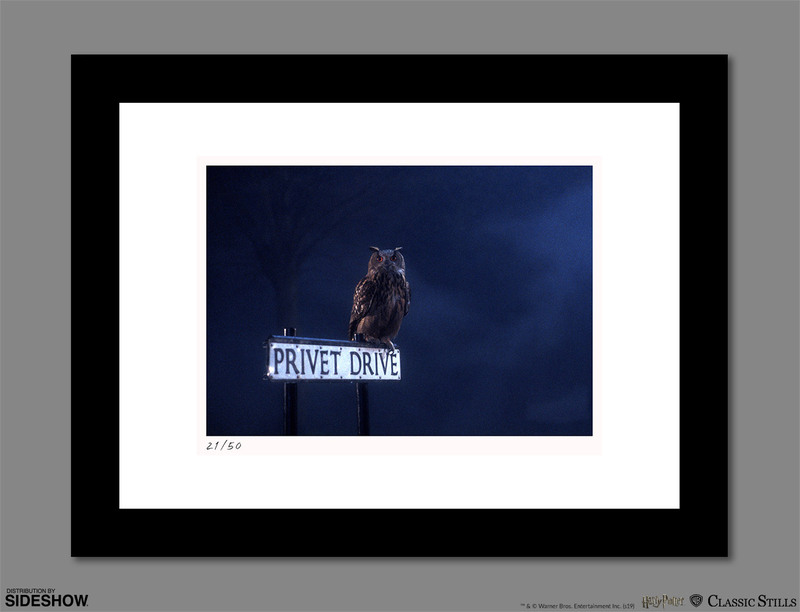 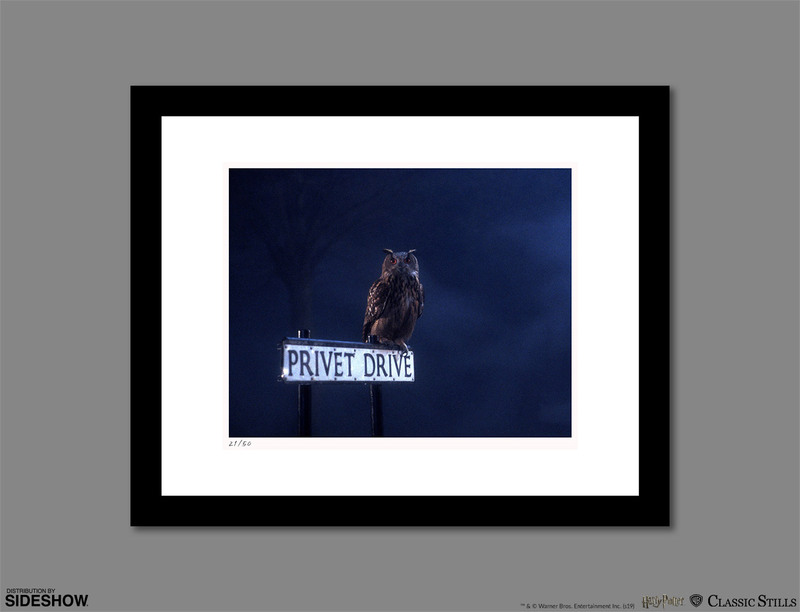 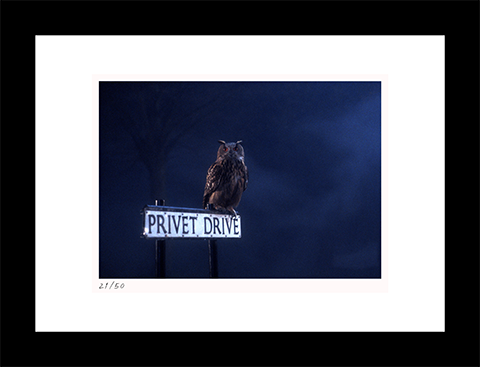 Sideshow and Classic Stills present the Privet Drive Fine Art Print. 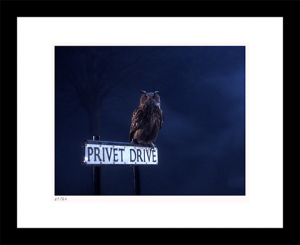 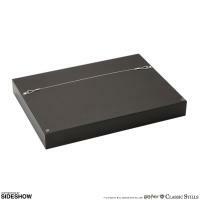 Each print is fully licensed by Warner Bros. and presented with a unique Certificate of Authenticity.